The Black House gathers power and the remaining teams are divided. The Tournament will fall into the hands of Eddie Mazaryk and Team Black unless Ellie Willmore and Team Blue can stop them. But to stop Black, Ellie needs to pull off a miracle: unite sworn enemies to beat the best of the best. The stakes have never been higher. The winners own the Tournament. The losers forfeit everything…even their lives. 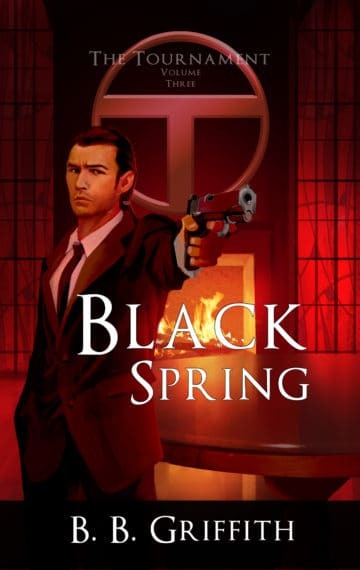 Ties of friendship, love, and hate are put to the test under a hail of gunfire in Black Spring, the spectacular conclusion to The Tournament Trilogy.